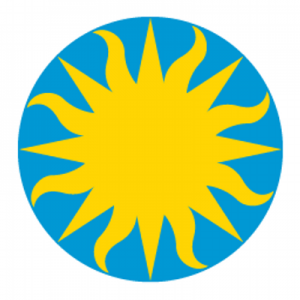 The Smithsonian Transcription Center is seeking volunteers to help them make historical documents and biodiversity data more accessible. You can join with 9,006 volunteers to add more to the total 313,177 pages of field notes, diaries, ledgers, logbooks, currency proof sheets, photo albums, manuscripts, and biodiversity specimens labels that have been collaboratively transcribed and reviewed since 2013. The Transcription Center opened in July of 2013 with thousands of documents across 31 projects from eight Smithsonian museums, archives, and libraries. They have grown with the help of volunteers to include over 1,000 projects from fourteen participating museums, archives, and libraries. Humanities Research: Digitized and fully transcribed documents are an incredibly valuable asset for art, history and literary researchers across the globe. Scientific Research: Transcription of handwritten collection labels will create millions of specimen data points available to the scientific community for research and discovery. Education: From high school to graduate studies, transcription allows students to engage with primary source materials – a key part of the learning experience. Readability: Transcription preserves these historic documents for future generations as practices like cursive handwriting are less emphasized in school. You can check the Smithsonian Transcription Center website to see what collections are available. One collection that may interest genealogists is the Freedmen’s Bureau collection. The Bureau of Refugees, Freemen, and Abandoned Lands, often referred to as the Freedmen’s Bureau, was established on March 3, 1865. The duties of the Freedmen’s Bureau included supervision of all affairs relating to refugees, freedmen, and the custody of abandoned lands and property. The Smithsonian is asking for volunteers to help them transcribe those records and learn more about the experiences of formerly enslaved men and women in North Carolina during the Reconstruction Era. The Smithsonian Transcription Center provides instructions and tips for volunteers who want to help with transcription. For example, there is a link on their website that provides a template for transcribing diaries, manuscripts, field notes, photo albums, letters, and ledgers. * Save your work as you go – Don’t lose your work. * Write complete words – Don’t break a word or use a dash if it is split between lines. Use the full word instead. * Don’t correct spelling mistakes in the original text – Reproduce exactly what you see on the page, including notes in the margins, calculations, and sketches. Please do not correct spelling and grammar.